Emmanuelle Blachey (Emmanuelle Devos) sits on the board of directors of a major French energy corporation. She is approached by an influential feminist lobby group, who ask her to campaign to become the CEO of France’s largest water company. It would make her the first female CEO of a top 40 French corporation, but a male-centric industry – and a manipulative power broker (Richard Berry) – stands in her path. Cesar-winning director Tonie Marshall brings her talents to bear on this excellent corporate drama, essentially pitting one resourceful and talented woman against the patriarchy. With a strong cast and a multi-layered plot, Marshall directs a gripping and entertaining mainstream drama with something of genuine worth to say. Emmanuelle Devos is fantastic in the lead role, creating a properly developed person rather than a cypher. In her hands, Blachey is smart, driven and appealing. She is flawed, but in properly realistic and neatly drawn ways. We get to see her whole life too, and not just her behaviour in the board room. She has an imperfect marriage to an Irish husband (John Lynch, delivering a strong bilingual performance), a nuanced relationship with her two children, and connections with a variety of friends and colleagues. The film also hints at two darker elements from her past, but wisely never over-plays them. When Blachey is approached to run for CEO of a major utility provider, it sets off a chain of incidents and hurdles as the existing corporate infrastructure fights to keep her out of the way. This system is personified by Jean Beaumel (Richard Berry), a powerful, well-connected and hopelessly vain king maker in high-end French business. Berry handles the characters tremendously well, making him smart and charismatic enough to convince as a formidable power broker but also brittle and conceited enough to make him a gently satirical face for the sector’s overwhelming patriarchal attitudes. Marshall weaves a number of characters between her protagonist and her villain, and gives each of them their own small character arc. Suzanne Clément plays Véra Jacob, a fiercely feminist confidante and friend. Francine Bergé is enormously watchable as Adrienne Postel-Devaux, the wry leader of a politically connected lobby group. Sami Frey is hugely charismatic as Emmanuelle’s heavily flawed father, who suffers a stroke early into the film and adds yet another problem onto his daughter’s plate. Particularly interesting is Benjamin Biolay as Marc Ronsin, who begins the film as Beaumel’s upwardly mobile right-hand man and ends it in a somewhat different place and state of mind. It would be easy to dismiss the film for having a heavy-handed and simplistic agenda, but that would be to underrate its achievements enormously. The early scenes are key, depicting Emmanuelle’s day-to-day life inside an energy company. She is surrounded by sexism and patriarchy. She lives inside a world of visible and insidious micro-aggressions, each designed to keep her just below her male counterparts, and just slightly off-balance so as to ensure she never fully gets a fair chance to succeed. It feels not only threatening but claustrophobic. That she fights as hard as she does inside that environment makes her character so much stronger, and more enjoyable to root for. This is a rock-solid commercial drama with an underlying agenda to which it is well worth paying attention. 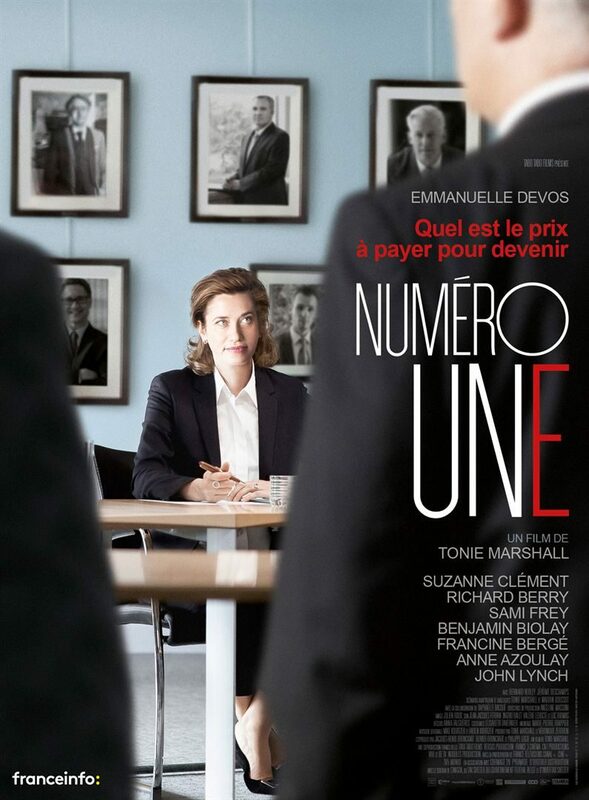 Number One is playing at the 2018 Alliance Française French Film Festival, which is touring Australia until 8 April. For more information check out their website here.